It’s weird to get the news that your alma mater is shutting down. 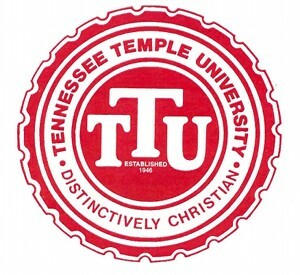 In March of 2015, Tennessee Temple University announced that it was in its final semester, and would merge with Piedmont International University (another Christian college nearby). I studied marketing and management (and a good bit of Bible!) at TTU, and I was sad to hear the news. I was sadder to read a letter from Temple’s president Dr. Steve Echols explaining why. TTU was planning to relocate their campus to another local spot; however, the move was delayed, which cost TTU more than $1.5 million they weren’t planning on spending. You can read the whole letter online, but this is the part that jumped out at me. Our Bridge to the Future campaign to raise two million dollars to support the construction of our new campus was unsuccessful. Apart from current trustees, TTU raised less than $65,000 from its alumni. Unfortunately, less than one percent of our alumni responded with gifts after more than 17,000 brochures and 17,000 letters were mailed out to the alumni community. Dr. Echols also cites real estate deals that didn’t pan out and relocation delays as reasons the school couldn’t relocate. However, the failed fundraising campaign was the number one blow. A $1,935,000 blow. Why didn’t it work? Tennessee Temple made a huge effort, and there are plenty of alumni out there. Why didn’t we come through for our alma mater? The more than 99 percent of TTU alumni have their diverse reasons for not donating (I’ll share mine below). And all of them point to one meta-reason: Tennessee Temple University didn’t have a healthy alumni list. If there’s one thing any school can learn from TTU’s closure, it’s the importance of keeping healthy contact lists. What is a healthy list? 1. The information on the list is accurate. You could have the most loyal alumni in the world. You could have a list of generous folks willing to write seven-figure checks whenever you want. But if you can’t get in touch with them, that list won’t do you any good. 2. The people on the list want to hear from you. Who loves getting calls from telemarketers? Who loves junk mail? Who loves spam in their email inbox? Not me, not you, and not the people you’re asking for support. A healthy list isn’t just accurate: it’s a list of people who actually want to hear from you. Of course, there are many ways to measure these criteria in the print and digital worlds (delivery rates, click-through rates, etc.). But in this post we just need to focus on why a healthy list is so important. When we talk about healthy lists, we’re not just spouting ideal statistics. Your list’s health has a huge influence on the bottom line for your school. In Tennessee Temple’s case, an unhealthy list was the difference between a $2 million goal and the $65,000 result. That’s a $1,935,000 difference—all because for whatever reason, fewer than 170 alumni (one percent of 17,000) responded to the direct mail campaign. But you know why I didn’t donate? Because I never heard from them. I didn’t get an email. I didn’t get a brochure. I didn’t get anything in the mail. Was I intentionally left out? Probably not. I graduated on pretty good terms with the mail room. That means that, at least in my case, TTU’s list of alumni contact information wasn’t accurate. And I bet I wasn’t the only one left out of the system. But my experience is just a tiny, tiny fraction of this case study. When you send mail to 17,000 people and less than one percent responds, your list is in bad shape. To illustrate, imagine you are Dr. Echols, the president of TTU. You need to raise two million dollars. Your alumni development specialist walks into your office and says, “We have the mailing addresses for 17,000 alumni! We can send them all a brochure and they’ll generously donate out of gratitude and loyalty.” Doesn’t that sound like great news? Why, if every one of those people donates a measly $117, you’re covered! This is how you’ll raise that money. Now let’s try a different scenario. You’re still Dr. Echols. You still need to raise two million dollars. Your alumni development specialist walks into your office and says, “We have 17,000 mailing addresses for alumni. However, we’re not sure how many of them are current. Plus, many of our graduates from TTU’s heyday feel like the changes we’ve made in school policy over the last decade are a sign of betraying the school’s original mission. And the graduates from the last ten years are starting their own families.” Would you still send a letter to the list? Probably. Would you make that direct mail campaign your central fundraising effort? Absolutely not! I don’t know all the ins and outs. I wasn’t there when this campaign was planned. I’m sure it seemed like a good decision at the time. But it’s clear that TTU would have benefited from a healthier list—or at least the knowledge that their list is unhealthy. Find the appropriate sample size for your list. (I use The Survey System’s calculator.) Then send a letter or email (or both) to each of them with a call to action you can measure: ask them to go to a certain Web page, give them a gift card to redeem, or even ask them to call up the head of the department they graduated from. This will give you a general idea of how accurate the information on your list is (and whether or not those people want to hear from you). It’s also a lot less risky than just hoping a massive send will go through! Nobody likes the guy who only talks to people when he has a favor to ask of them. Don’t be that guy. Whether you have a direct mailing list, an email list, or both, do the work of keeping in touch. Send a letter from the President twice a year (graduation and Christmas), and letters from department heads to graduates from their departments in between. Send good news. Brag on alumni. Invite local grads to important sports events. Introduce new professors and programs. You want these people to be excited to hear from you, right? So lead with great stories and good news. It will keep alumni from becoming disillusioned, and prime them for the times you need to ask them for donations. I won’t pretend to know everything that played into Tennessee Temple’s decision to merge. But if the president cites an unresponsive list as the number one reason the school couldn’t afford the transition it needed, that should signal something to everyone in the Christian education space: keep your contact lists healthy! And hey, if you’d like me and the GradLime team to help you audit your list health, let me know! Shoot me an email at Jeffrey@gradlime.com.